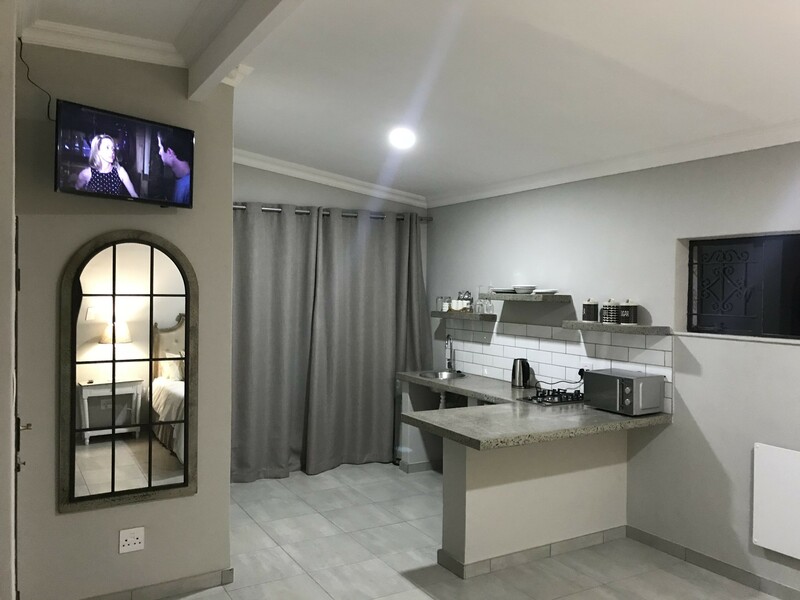 Edison Corner Apartment is a newly renovated self catering studio apartment in the sought after suburb of Menlo Park, ideally located for work and play, with entertainment and restaurants across the road (100m) and various business nodes in a 2.5km radius. 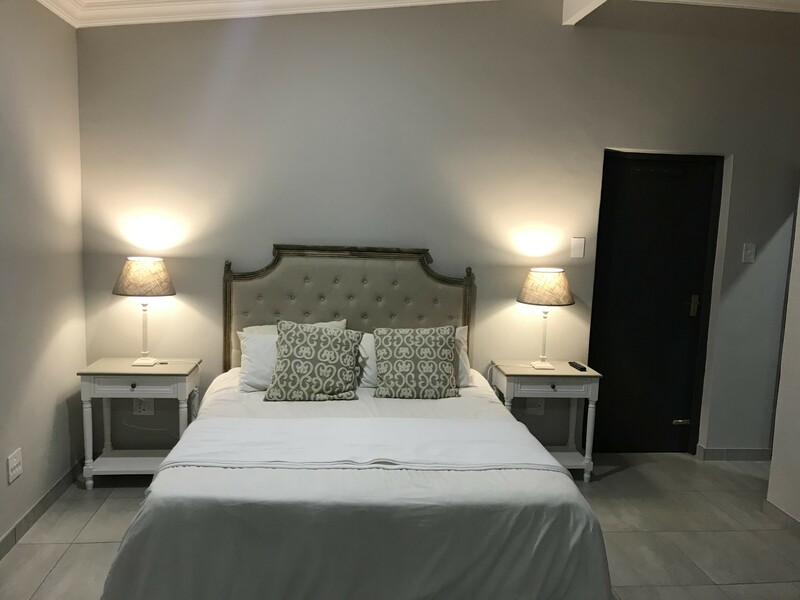 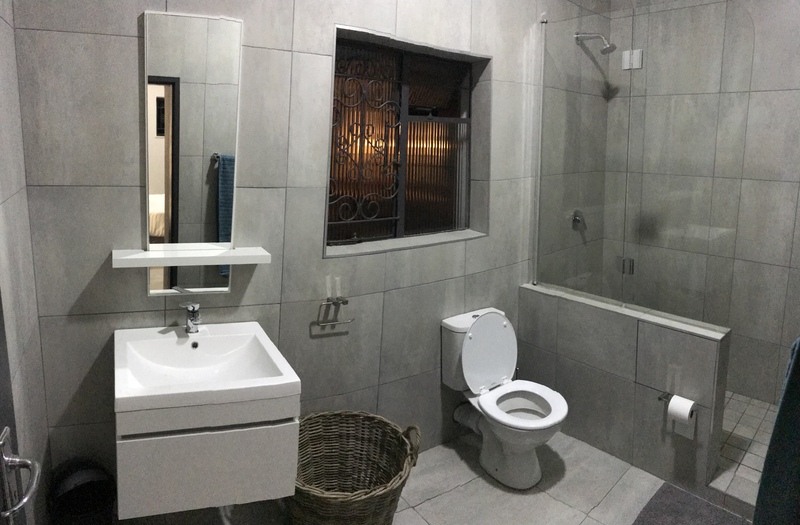 We offer a newly renovated luxury self catering studio apartment with open plan kitchen and bedroom and an ensuite bathroom with a wash hand basin, toilet and large shower, a private porch and private entrance. 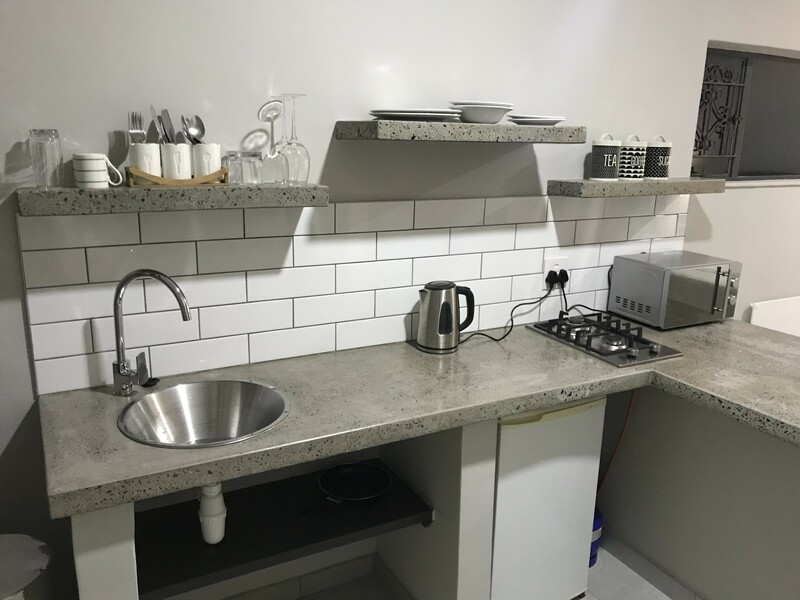 Kettle, plates, cutlery, muggs, gas hob, fridge, microwave, working top with bar chairs, heater, fibre internet, Smart TV with Netflix and Showmax, queen size bed and bedside tables and all required linen.